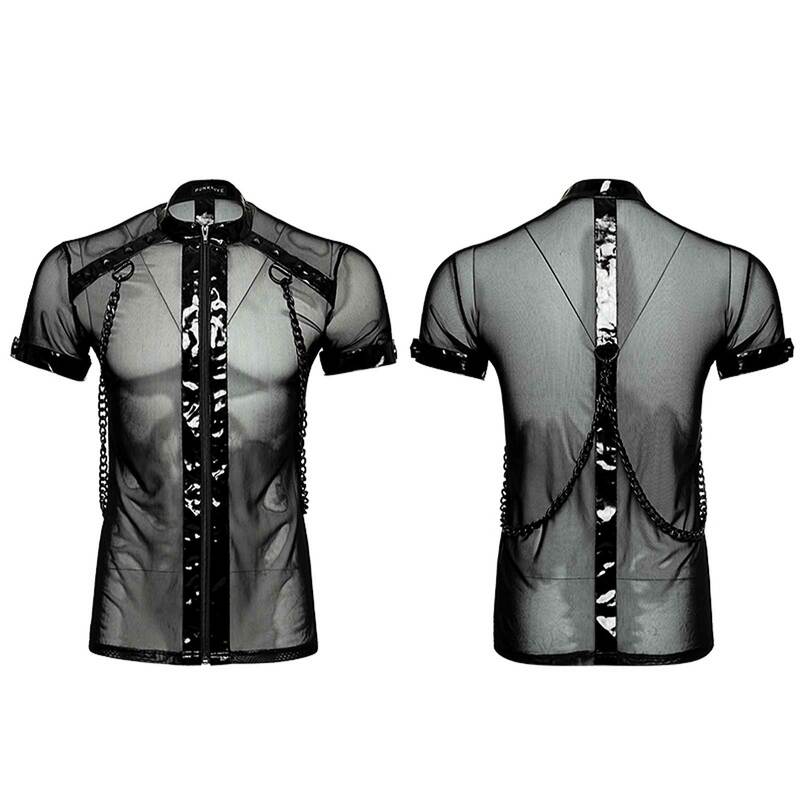 Hot vinyl/mesh top for men by Punk Rave. 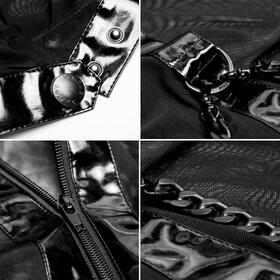 See-through mesh-fabric with shiny vinyl contrasts and full front zip. 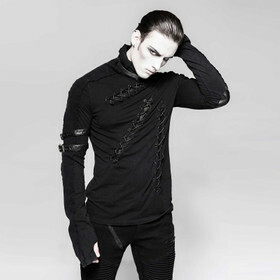 D-rings with detachable black metal chains. 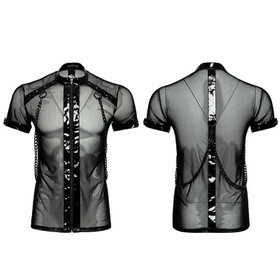 Hot vinyl/mesh top for men by Punk Rave. 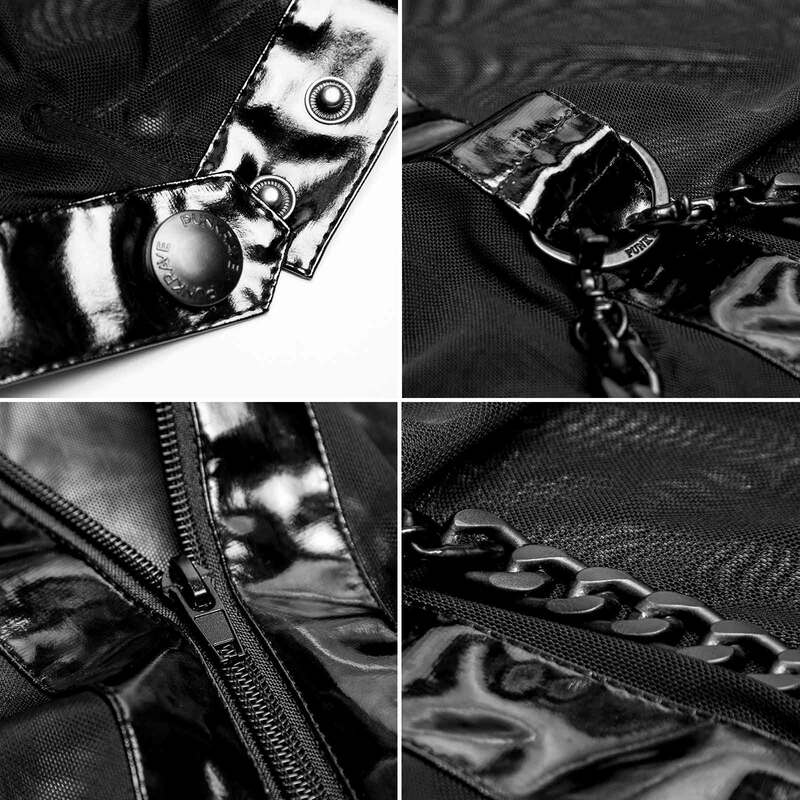 See-through mesh-fabric with shiny vinyl contrasts and full front zip. 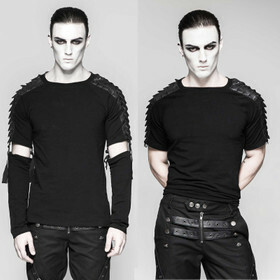 Small stand-up collar and short sleeves with adjustable snaps. 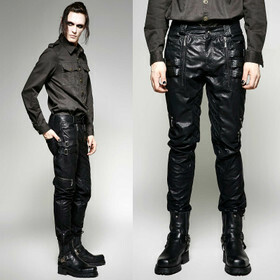 D-rings with detachable black metal chains. 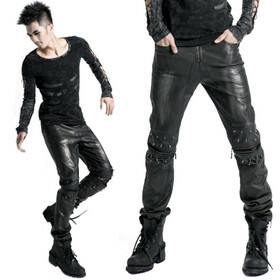 The fabric is elastic - but Punk Rave turns out smaller!